Welcome to Basicmicro. 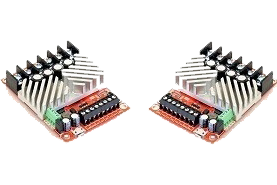 We offer a wide range of motor controller solutions from programmable systems to entry level. Motor controller setup is easy using our free software Motion Tune. Instantly auto-tune any supported encoder and motor combination. Reduce total time spent with plug and play PID tuning. No prior experience is required. We offer unparalleled technical support. No matter how simple or complex the question, we are ready to provide the support you need to get your project up and running. 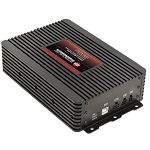 We offer a motor controller solution to fit any need. 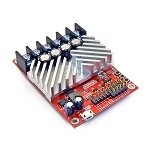 With our multi-mode interface you can control motors from CAN, serial devices, analog, R/C radios, and or microcontrollers such as an Arduino or Raspberry Pi. Fully programmable motion control with our easy to use BASIC like language. Leveraging our over 25 years of experience in writing compilers. The MCP line of motor controllers are robust, easy to learn and with a full CAN implementation, integration is seamless. Sensors such as potentiometers, absolute and quadrature encoders are supported. Close loop functionality creates absolute control over speed, velocity and direction required for modern day robotic applications.